Our Checkpoint Accessories are designed and offered with the Checkpoint and Cargo Screening Operator in mind. 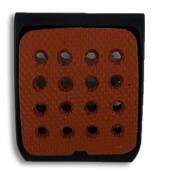 Given the repetitious nature of the screening task we have created Accessory offerings that help to reduce potential ergonomic stress and take into consideration the basic requirements of a checkpoint or cargo warehouse screening environment. In addition, the Checkpoint Accessories help to make the screening task itself easier so that the operator can remain focused on the screening process and the evaluation of critical explosive and narcotic detection information. Our uniquely designed Handwand is comfortable, practical and easy to use. Loading swabs is a snap and the extension allows for a clean and precise trap pass to insure that all surfaces required to be swabbed are done so with the greatest collection accuracy. 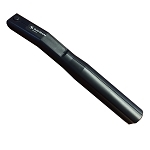 This Handwand is an essential accessory to add to your Itemiser DX or Itemiser 4DX tool box. Our Stainless Steel ETD Accessory Table is another practical addition to your screening equipment. 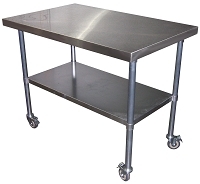 With an expansive 30” x 48” work surface and industrial locking wheels, the Accessory Table is perfect for a mobile screening environment. The Canless Air System is another money saving consideration for your ETD screening operation and can be an important element in reducing the TCO (Total Cost of Ownership) of your Explosive Trace Detection Equipment. 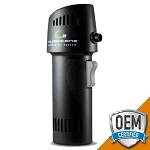 The Canless Air System can generate an air stream approaching 200 MPH and the long-life rechargeable battery allows for the production of nearly 10,000 standard canned air units. As always, should you not see what you are looking for or have any questions concerning the products or their application, send us an email or give us a call at your convenience.